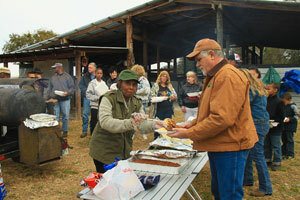 If you would like to have a special outdoor event, the GT Ranch is the perfect place to have it. We have a large open field for any athletic event, kick ball, volleyball, flag football or any other activity where you need a large area for your event. You can have a cook-out at our facility, throw a party, have a work retreat or just come on out and have some plain old-fashioned fun. We will customize our facility to fit your need. Horses are included for use at any scheduled event and come as part of our package deals. If you don’t want the horses, no problem. We will keep them in the barn. For more information on special events, please give us a call at (412) 592-6916 or email us at exodus1906@aol.com.